Ready to finally step out of the local old-time music hall, The Floyd Family Breakdown are releasing the jumpy bluegrass infused track Hole In My Shoe from their forthcoming album to be called Country Perk. The band started as a duo in January 2014 with Paula Hackney (Vocals & Guitar) and Andrew Palmer (Guitar, mandolin & vocals) when they crossed paths at a gig. 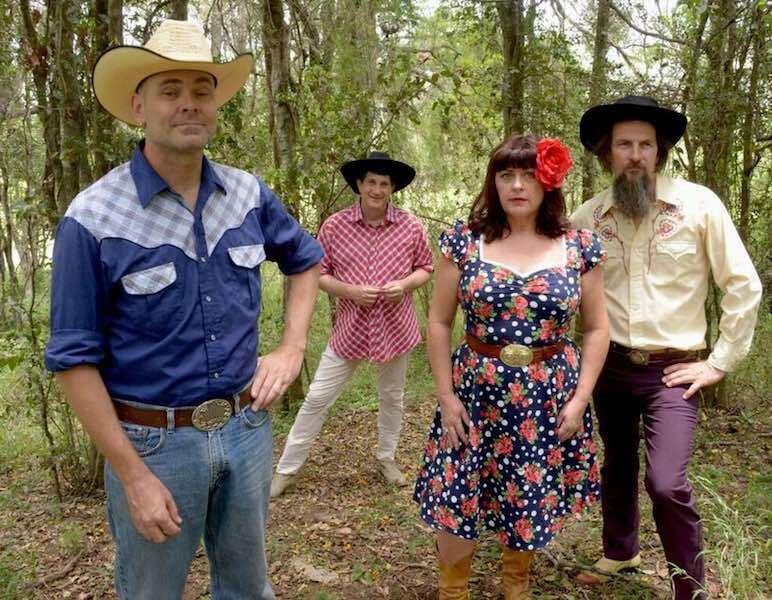 Sharing a love of Western Swing and Hillbilly, the band have been finding their boots on stages across Australia with help from fellow bandmates Tony Moore (Double Bass) and Chris Gillespie (Fiddle). The Floyd Family Breakdown built their foundations in early post-war pre-rock’n’roll inspired vocal and authentic sounding instrumentation, but pride themselves in versatility. With influences like The Flatlanders, Jimmy Martin and the Sun Records sound, Floyd Family Breakdown are blending their favourite sounds of the past while giving it a modern twist. Hole In My Shoe is a moving on song. No more running so fast to keep up that you burn a hole in your shoe. Relationships come and go and at the end of the day being okay in your own skin, walking in your own shoes, shoes that fit just fine is what matters – Paula Hackney. The Floyd Family Breakdown’s new single Hold In My Shoe is available now. You can catch it live at their Brisbane launch on February 28th at Lefty’s Old Time Music Hall at 15 Caxton Street, Brisbane, QLD. You can catch a preview of the track Hole In My Shoe here.